One restaurant produces thousands of pieces of data every month. As a single or multi-unit operator, you may know that you need to use data to streamline and improve your operation. But it’s easier said than done. Hidden in the piles of metrics are keys to reducing loss. And, if you can hone in on problem areas using data, operators have the ability to add up to three percent to topline revenue. Of all the forms of restaurant loss, employee theft takes the biggest bite out of the bottom line. Below, are the ways you can find employee theft trends in your store data. Did you know that according to a Delaget study, four of ten manager discounts are fraudulent? Employee thieves are sneaky when it comes to pocketing your dollars. That means operators need to get smarter about identifying employee theft right away. When restaurant operators identify store loss by reviewing the P&L, it’s too late to recover the money. Combing your store metrics on a monthly or quarterly basis means that you’re participating in loss reaction, not loss prevention. When you spot accumulated loss, an employee has already run off with the money. Get into the habit of reviewing loss prevention metrics on a weekly and bimonthly basis. That way, when you see a spike in deletes or voids, you can pinpoint the action and decide if the employee needs more coaching, or if the employee is actually stealing. Remember, when new employees (especially cashiers) begin work, managers should expect mistakes to be made. A store with many new hires may see a spike in deletes or voids. But as cashiers learn their new role, those mistakes should taper off. 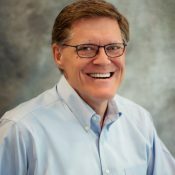 Ed Heskett, a 30-year veteran of the restaurant industry, is a Loss Prevention Consultant for Delaget.